How Could the Wise Men Have Found Baby Jesus in Nazareth? I have one question on [the Christmas Quiz] that has me completely perplexed. Question 31 asks where the Wise Men found Jesus and his family when they arrived. Your answer says that it was Nazareth. How can this be? Why would Herod have ordered the slaughter of the children in Bethlehem if they were in Nazareth? Also, why would they have travelled all the way to Egypt if they were that much further north from Bethlehem? Thank you for writing. 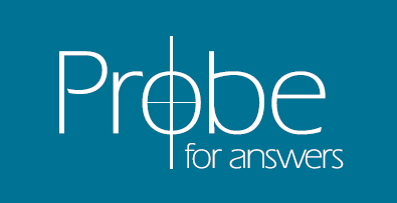 Dale Taliaferro wrote the Probe Christmas Quiz, but let me try to give you a brief answer to why he answered the question the way that he did. Many commentators merely have Jesus staying in Bethlehem, but Dale suggests a better interpretation that fits with both the Matthew account and the Luke account. Matthew 2:11 says the Magi saw Jesus as a “young child” and found him in ”the house,” where ”they fell down and worshiped him.” At the very least, it eliminates the possibility that this was at his birth at a manger scene in Bethlehem. That would also mean that the typical nativity scene is inaccurate. Notice that Luke’s account has them leaving Bethlehem for Jerusalem to be presented in the Temple. Then Luke 2:39 says that after Jesus is presented in the Temple, the family returns to Nazareth. That is where Dale believes the Magi found Jesus and his family. Notice that Matthew 2 gives an impression of a hurried, immediate escape to Egypt. Nothing like that is mentioned in Luke 2:39. Instead we have them returning to Nazareth. Therefore, it is possible that the family returned to Bethlehem when Jesus was perhaps 1-2 years old. Matthew 2 then appears to be picking up the story where they escape during the night. I hope this helps explain Dale Taliaferro’s answer. "'Gender-Neutral' Bibles? ""The Author of the Pentateuch was Moses, Not Ezra, Right?"